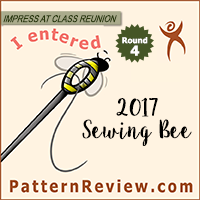 S1415 – A Project Runway Pattern. This dress is pretty, but I have seen many very similar patterns before. S1418 – Another Project Runway dress. The options for the back interesting, though the front of the dress is nothing new. S1416 – A Suede Says pattern. Pretty, but, again, nothing I couldn’t make from a current pattern. 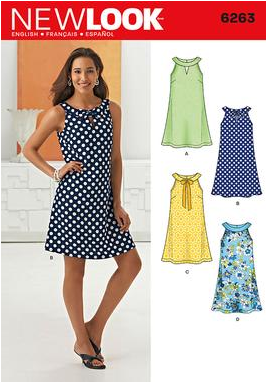 S1419 – I always think the lisette patterns are cute, but a bit sweet for my personal taste. even if I wouldn’t want to wear them. 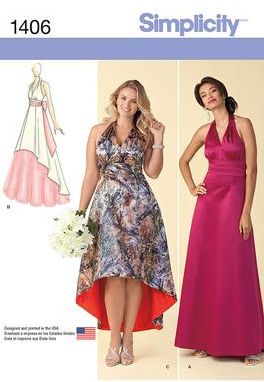 S1420 – I actually really like these evening gowns. Very pretty! S1417 – An Amazing Fit pattern. I don’t know how the rest of the world feels, but that peplum on my hips? No. The neckline is nice though. drawing of using the high-low hem over a full length skirt. S1427 – A tulle skirt pattern. I am actually sort of interested in this, for costuming purposes. I mean, I’m willing to pay $1 for instructions and yardage estimates. but these are actually rather cute. Very Gidgit. S1421 – I actually really like the styles in this unlined jacket pattern. but I think I have some from Burda that I like a bit better. isn’t too bad. The neck opening looks pretty wide though. S1422 – More oversized tops. Meh. 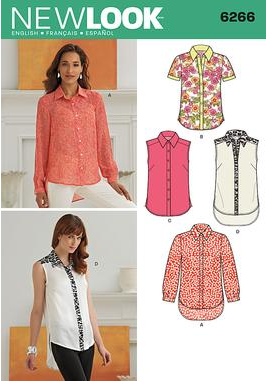 S1424 – More blouses. I can’t see these being very practical to wear with a bra. 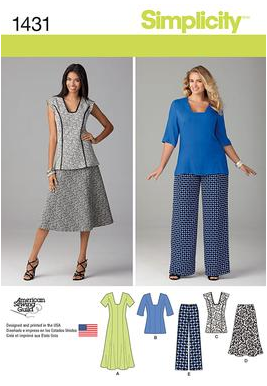 S1429 – A Knits Only pattern for skirts and pants. 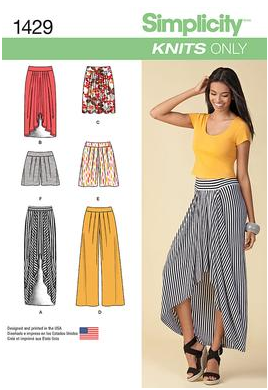 I actually sort of like the pants, and I think the pleats will drape well in a knit. 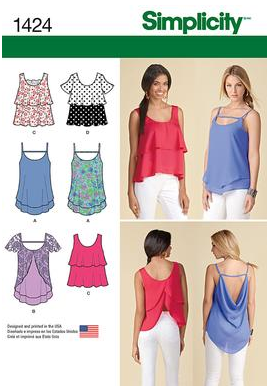 S1428 – Easy to Sew pattern. Drawstring/elastic waist pants and skirts. Meh. but nothing that makes me super excited, either. S1431 – A very generic wardrobe pattern. Snooze. but I think it is a flattering cut. Especially view F.
S1444 – A Simplicity DANCE pattern. I am SO EXCITED YOU GUYS!!!! 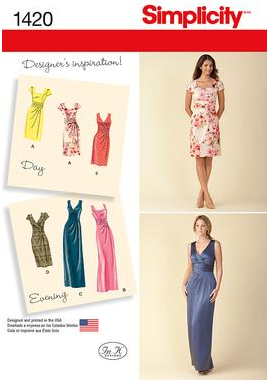 Love the styles in this envelope – very typical/classic for dance wear. From New Look, there doesn’t seem to be anything particularly innovative, but I will say that they have managed to package their patterns quite well. I think they have made some great fabric and styling choices for the envelopes. NL6261 – I LOVE the photographed lace version. The ribbon detail on the stomach is lovely. 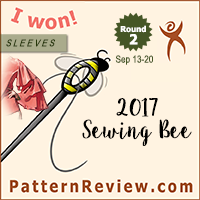 despite having too many sheath dress patterns in the already. 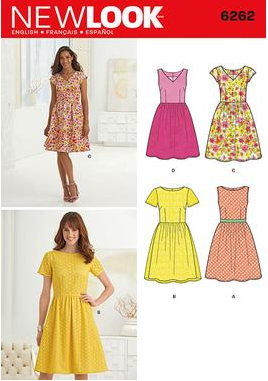 NL6264 – A Project Runway Workroom pattern. I actually like the photographed dress – looks great for summer. The giant ruffle on the drawn version… not so much. NL6262 – Sort of generic, but fine. NL6263 – Sack dress. Meh. 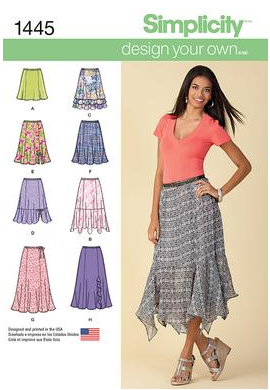 NL6269 – A Project Runway Workroom skirt pattern. On this pattern I like the drawing better than the photograph. but I don’t think I need a drawstring pattern. I actually really like the jacket and the top. 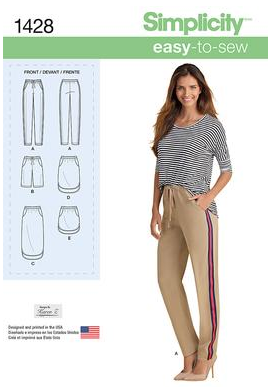 I can’t see wearing draw-string pants as part of a work ensemble though. 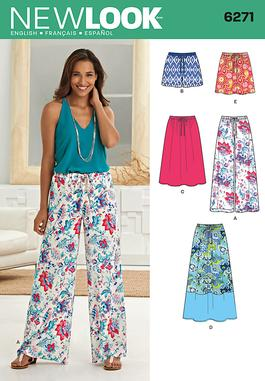 Seriously, New Look – what’s with all the drawstring pants??? though the tank tops for wovens could be useful. but the photographed view isn’t too bad. 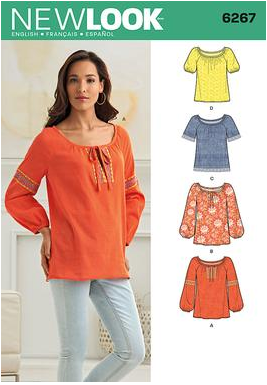 NL6267 – Basic tunic tops. Meh. A few thoughts – I am sort of wondering if Simplicity going to pick up any designers from the new show, Under the Gunn, to add to their Project Runway tie-in collection in the future. 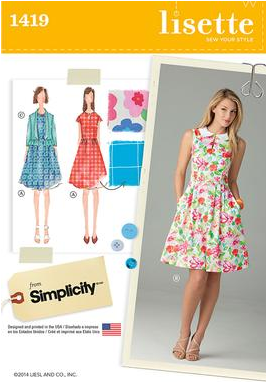 There are definitely a few designers I am very excited about on the show at the moment, and I would be really excited if they made any patterns for the Simplicity line. Guess we will have to wait and see. Secondly, I am SO happy that Simplicity is adding a DANCE collection to their line. 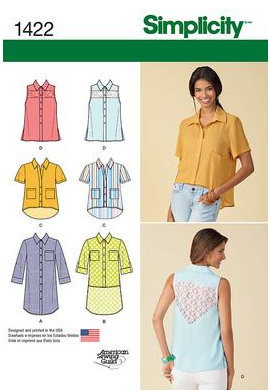 With Kwik Sew retiring their skate/dance patterns faster than you can blink (seriously, nearly ALL of the Kwik Sew patterns I use on a regular basis are OOP now), and Jalie being somewhat pricey, I think Simplicity is making a very smart move in becoming the brand in the Big4 that will offer these sorts of patterns. I hope they add more to their DANCE line in the future. Fingers crossed! As far as the overall collections go, well, it seems like a lot of the trends this year are very similar to the trends from last year. 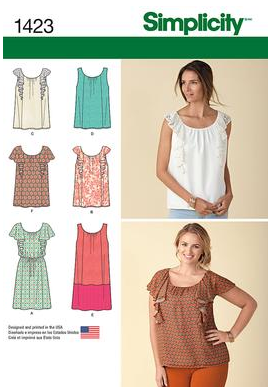 Can’t say there are a ton of patterns here that are exciting me, but there are a few I might pick up on sale. So, what do you think? Anyone else oohing and aaaaahing over that lace New Look Dress? Are all the oversized tunic tops doing it for you? And what is the deal with all of those draw string pants? Feel free to discuss in the comments! Draw string pants are meant for lounging and sleep. Not work unless maybe ou are pregnant. As an ex dancer that is awesome they have patterns. I love the lace dress. I do like the funky shorts that are flowy. I recently salvaged a bodice from a sequin dress and looking for open back tops to put this under. Plus I have some tribal pants that would go well with pattern so it makes me happy. 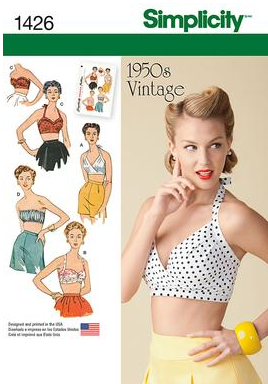 As did the retro bra looking tops. I have some friends who have expressed interest in me helping them make something like this so I like this pattem. I'd say a decent set of patterns. At least there are some different patterns. I'm so sick of the same stuff season after season. And I wish the peplum would go away on dresses! Ok enough rambling! I bought that new look sheath dress pattern and muslined it immediately! 🙂 sewing it up tonight/tomorrow. It was a sort of boring release though. I'll probably get 1421 and 1430 for the shorts at the next sale.